Back in 1998 the world seemed, from certain angles, a vastly different place than it does today. A decade ago Bill Clinton was still getting serviced in the White House, the Dot-Com bubble was still swelling, hardly anyone had heard of a nascent group called Al-Qaeda, only millionaires had clamshell mobile phones, and the first flash-based MP3 players, with a whopping 16 MB storage capacity, were just hitting the market. 1998 was also the year that LAS began (with monthly updates, as was the norm at the time), and was the first year of business for Insound, one of the first independently operated, non-corporate music retailers to test the waters of e-commerce. One of our earliest Media features was an email exchange between myself and Matt Wishnow, one-third of the company's startup manpower. Looking back after a tumultuous decade online (and in the world at large), LAS again corners Wishnow, the company co-founder still in the trenches, to do a little catching up. In the process we learn that one of the earliest online indie retailers is still evolving, that scalability has become less of a headache, and that Clap Your Hands Say Yeah isn't just over-rated, they're over-sold. LAS: Greatest Hits time: give me some Insound milestones and memories. Matt Wishnow: Our first SXSW party when we launched in 1999 - Death Cab For Cutie was the opening band. Nobody had ever heard of them! [In] 2000 we put out an Insound Tour Support EP for The Rapture that had the first version of "House of Jealous Lovers." 2001 to 2005: Watching the Yeah Yeah Yeahs, Interpol and Clap Your Hands Say Yeah fly off our shelves because we were the first place to carry their records. 2006: Realizing that the future of our business was in vinyl and band merch as much as it was in digital music. Did you think you'd still be running Insound today when you started in 1998? What is the single biggest surprise, something that you didn't see coming that has shaped the online retail market in the last 10 years? The vinyl surge (as I call it). Vinyl was less than 10-percent of our business ten years ago. The bigger iTunes got, though, and the more "handheld" digital music collections got, the more I saw customers wanting something physical and beautiful to represent their music collections. I couldn't have guessed that. Technology is changing so rapidly and Insound is so technology-based, what is the best way to keep on top of the changing trends and platforms? Ha! We are the last people to answer this. We think of ourselves as a music company that (for better or worse) depends on technology. We don't innovate based on technological possibilities but rather on user needs. We ask, "What do our customers need?" And then we make it. If we listened to the web cognoscenti, we'd have some web 2.0, Flash mess of a website. We try to focus on merchandising and customer-driven solutions. How have some of the operational aspects of the business model changed, both with technology and with scale? We hear a lot about integration, yet at so many end levels (websites, customer service, warehouse, distribution, marketing) there's still a person. Is it like those fluid Intel commercials where an online shopping cart purchase arrives, via a network of happy, sleepless machines, at the door a few days later or, better yet, on the hard drive within minutes? Operationally, we have not changed much at all. The biggest difference, of course, is that we are "ingesting" more digital content than we are ordering and "receiving" CDs. However, servers and bandwidth are not that expensive anymore so scalability is not as much of an issue as we might have once feared. Our business is still entirely based on human (and intern!) power. There are 12 of us here and we do everything. We don't license much software. We don't have massive conveyer belts. Nothing like that. Picking and packing a turntable is nothing like picking and packing a CD. And, unfortunately, nobody has come up with an affordable machine to handle the range of products we sell. Or, at least, no machine that provides the personal touch we want in the process. 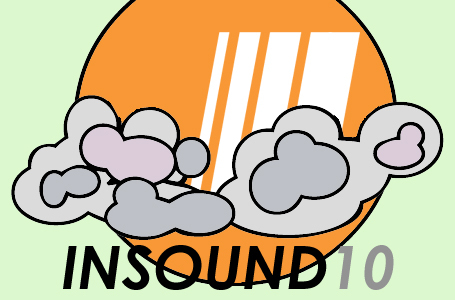 In the interview we did 10 years ago, Insound was described as "part record store, part message board, part record label and part fanzine" - how accurate was that description then, and how has the definition of the company changed since? That was TOTALLY an accurate description of what we wanted to be back then! But that was before we realized that it's hard enough being awesome at one thing, much less three things. Today, we aim to be the definitive indie superstore online. We want to sell the best, most curated selection of music, on all formats. And we want to complement that with other products - band merch and music-related books and gifts - that are equally well-curated. We want to have the best selection of "stuff." And we want the shopping experience to always feel like it was designed and delivered by like-minded music fans. One of the things you mentioned in that early interview was the process of overcoming hurdles in raising capital, but when you think about how many online companies rose and fell with the swelling and contraction of various market bubbles in the past decade and Insound is still growing; do you think that your scrappy start-up has inoculated Insound against a lot of market adversity, made it more adaptable? 100-percent. One mistake we never made was spending too much money on silly things. Insound has been basically the same size - in terms of staff - since 2000. Our business has grown mostly through word of mouth and through good relationships with labels and bands. We never did a huge ad campaign. We never had a fancy office. Without question, I think it was to our advantage to stay small and focused during the turbulent web bubble. I was just reminded of them last week when Best Buy bought them for over $100 million. It seems unfathomable to me. The brand has no value in my opinion. Perhaps their technology is mind-blowingly amazing or something. All this being said, Napster was an important harbinger for the industry. It told all of us that many music fans think albums have no value and should be free content. The industry is still reeling from this realization and I think that pre-recorded music will continue to be sold as content through sub-services in the future. While this might be frightening to some people, I think this also has caused great innovation in music promotion and music product development - including the revitalized interest in vinyl - as a reaction against music as digital content. This has also helped sober up the music industry in many ways. It's bittersweet for those of us that believe in the value of the physical album. But, overall, I think this shift from product to content has helped as much as it has hindered - especially in the indie music world. What is your take on file sharing? Regardless of one's position on the corporate/indie issue there is an element of theft, yet virtually all of the statistics can be read to show that file sharing ultimately increases economic activity. Files may be swapped, but iTunes hasn't been a boon for nothing, and Death Cab For Cutie is performing on Saturday Night Live and posting a #1 album on the Billboard chart. Based on my belief that pre-recorded music will inevitably be consumed as content and not product, I am resigned to be a fan of file sharing. Additionally, there are now two types of music fans - those that believe music is worth paying for and those that don't. For those that do, file sharing spurs sales. For those that don't, nothing will spur sales. But because I think music discovery also leads to the sale of band merch, tickets and music discovery, I think the net impact, especially for indie bands, is good. Ten years ago you also mentioned some planned elements like merch/memorabelia auctions, streaming video, and social networking that have panned out as big platforms for some other sites. Are there any regretted missed opportunities from the past decade, or any close calls with investing time and resources into avenues that turned out to be lame ducks? We actually experimented with many of those things. The Insound "Cinema" was a huge selection of indie videos and original interviews we developed around 2001. Likewise, we started a social network area in 2002 called the Insound "Regulars." I think we were ahead of our time in both areas. While I wouldn't revisit the video content, especially with Pitchfork doing such an amazing job with Pitchfork.tv, I would like to build in some social features to Insound, whether it be better user profiles or loyalty systems. It's a good point. But I think it's sort of a half-truth that any band can successfully sell direct. Radiohead is perhaps to most widely obsessed-over band of the last 10 years, so its no wonder that they can attract hundreds of thousands of people to their website. The average band cannot. Even the average successful indie band cannot. Labels and retailers and promotion vehicles serve an important function, even if people don't like their business models. For example, Insound probably attracts 500-1000 times more people each day than the average successful indie band website. Sites like Pitchfork or Stereogum reach millions of people. And while I think bands can do an effective job of communicating with fans through their own websites, musicians are not full-time promoters. Their jobs are to record and play music. Labels help create a necessary sense of importance for bands that helps them expand their fanbases through sales and marketing platforms. Additionally, many labels help bands get better tours, get college or non-commercial radio excited about a band, or simply add their own brand stamp of approval; Sub Pop, Matador, Touch and Go, et cetera. If the indie music world were simply a morass of bands selling directly, I think there would be much less business being done - both in terms of album sales, and tickets and merch. What did you think of the whole In Rainbows experiment, by the way? As you can tell, I didn't view it as an experiment. It was a sure-thing for Radiohead. I don't think it said anything of relevance for the average indie band or consumer. I think it made a statement for what you can do if you are Radiohead and have made amazing music and have managed your career and fan relationship effectively for 15 years. If Radiohead sold white blank paper from their website, 100,000 fans would buy it. I think it reminds us that there is a directness in the artist/fan relationship that is unlike anything in music history. But I don't think it necessarily means that Radiohead's model is necessarily viable for anyone else other than Radiohead. What are some of the pros and cons of being in New York for running a company like Insound? There aren't a whole lot of pros, to be honest, except that everyone we ever need to do business with comes through New York. That and the fact that we have a lot of post offices and college interns, who are awesome. The cons are high rent and business costs. I love New York, but there are many days when I think we should have run Insound out of Burlington, Vermont, or Austin or something. Our first interview also touched on genres and the logistics of classification for retail, if not for marketing, and there are so many more genres and subgenres today: freak-folk was born, grunge is still around, and electronic and hip-hop have begotten everything from glitch to grime. Is the idea of "genre" becoming so refined as to become almost invisible and irrelevant again? Is that reflected by the dynamic linking of website product based on probability correlation - 'customers who bought this also bought:' - being such an important business tool as to make categorization less important than it once was? That's so funny you mention that because were are about to overhaul our genre system and [have been] struggling terribly. In short, I think the answer is Yes. Genre classification is more useless now than ever. I think it's a fun shopping tool online for people but I think, from a musicology standpoint, it falls far short. One question we're asked a lot, because we link reviews to an Insound shopping cart, is how indie bands without a label or distribution deal get their albums in your catalog. Is there a standard or best way to go about that? Its quite simple. They should simply email help@ or info@ insound.com and ask to send in a CD and bio. They should also send us links to their website and MySpace. If we like the music, we will normally take some in on consignment, so long as the band agrees to help promote the record on Insound through their own website. How long do you think the MP3 has to live? Twenty years ago the CD seemed like the format from 2050 and now a Discman is archaic. Inflate that process for the current speed of technological change and the MP3 seems established enough to be overwhelmed by something new. What's down the road? I don't know what the actual file format will be, but it seems inevitable to me that, in the next 5 years, most music will be accessed via subscription services on phones or through digital cable. People will soon be able to get any song or album, any time, anywhere. The files will likely be better compressed, I'd imagine. You guys were really pushing the vinyl this summer. Beyond a love for the format, what is the business sense in putting marketing resources into a product with lower profit margins than digital or CD releases? Vinyl is forever. I truly believe that. People think CDs are worthless. People think vinyl is precious. And, actually, vinyl has far more elastic margins. People don't want to pay $10 for a CD but will pay $20 for LPs. The size, the art, the preciousness - people value vinyl in ways that they never valued CDs. Plus, I think that the more small and fleeting and ubiquitous digital music gets, the more avid fans will cling to vinyl as a way to physically bond with the music they love. I think it's a very physical and psychological relationship that has been reborn due to the ways in which digital music product falls short. Who/what sells the best in your catalog? Right now� TV on The Radio. All time? Clap Your Hands Say Yeah, Mars Volta, Death Cab For Cutie, Wolf Parade. What is the future business plan for the company in terms of growth, development, partnerships, and technology? I'll make this one super simple - we want to be the most awesome indie music superstore anywhere. We want to be more innovative than everyone else in terms of service and product selection. We will continue to believe in physical music products and will continue to expand and develop what that means. We love it when people buy CDs, but we are realistic and see the future as being rich and varied with CDs as well. Look for more exclusive band merch and well-designed, beautiful music products on Insound. I want people who ask themselves, "where do I shop for the most avid music fan," to answer, "Insound, of course. Insound is awesome."